An attractive benefits program is vital for your recruiting and retention efforts, but it is also a significant expense. To ensure you are providing a package that is both competitive and economical, you need to know how your offerings compare to others in your industry. Benchmark data can provide valuable insight for evaluating your benefits package, something that is more important than ever in light of health care reform. Employer interest in benchmark data has grown over the past decade, as the cost of providing health care benefits continues to skyrocket and companies look for new ways to manage costs. Analyzing how other companies are structuring their plans and the strategies they are using to cut costs may make your own benefit plan decisions a bit easier. What Data Can You Benchmark? There is information available for almost any aspect of a benefits program, including total costs, cost-sharing measures, plan design, voluntary offerings, workers’ compensation and paid leave. 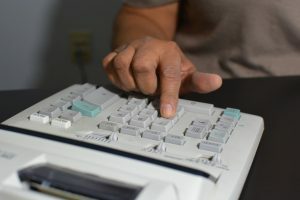 Whether you are curious to know how your voluntary disability benefits stack up or are wondering if your paid leave program is comparable to competitors, there is likely benchmark data available. We at Sequoyah Group would be happy to provide you with a variety of benchmark data—simply let us know what you are interested in learning. Interest in benefits benchmark data has grown since the introduction and ongoing implementation of health care reform. The regulations and provisions of health care reform require significant changes to benefit plans, and, in many cases, tough decisions for employers. Knowing how other employers are approaching these issues could be beneficial in helping you reshape your benefit program for this new health care insurance landscape. Employers are responsible for implementing many new rules and absorbing their costs, which will likely mean cutting or shifting costs elsewhere. These decisions can make the difference between maintaining a competitive benefits package and seeing a decline in recruiting and retention of quality employees. Knowing how other employers plan to address these benefits decisions can be incredibly advantageous for your company. Contact Sequoyah Group for more information on benefit plan benchmark data.